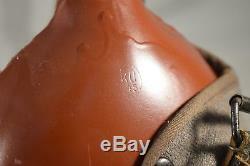 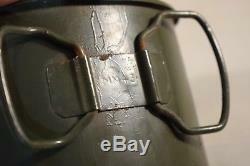 Original WW2 German late war M42 canteen, dated 1945 to the red painted bottle. 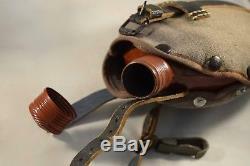 This example comes complete with the correct late war Gabardine cloth cover, also in excellent condition, alongside the black Prestoff closure strap. 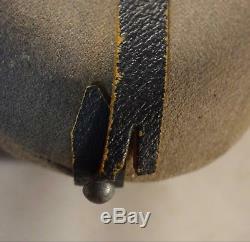 Please note however that the strap is missing the very tip (see photos) and so is unable to engage the bottom stud. 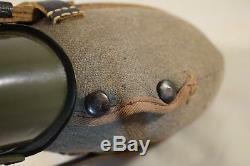 Many thanks for looking and please feel free to view my other related items. 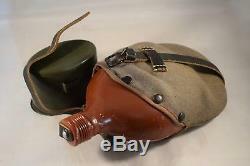 The item "WW2 German M42 Canteen Feldflasche 1945 Ersatz Original Equipment RARE" is in sale since Sunday, October 7, 2018. 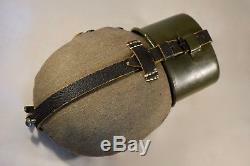 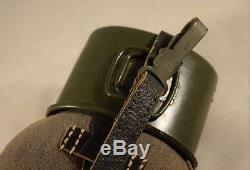 This item is in the category "Collectables\Militaria\World War II (1939-1945)\Field Gear". 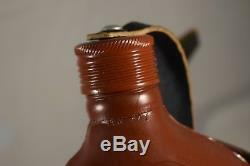 The seller is "pjem218" and is located in Wakefield, West Yorkshire. 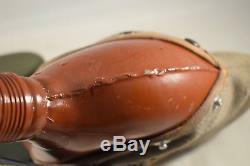 This item can be shipped to North, South, or Latin America, all countries in Europe, all countries in continental Asia, Australia.